San Miguel de Allende, Guanajuato, Mexico, is the new Cultural Heritage for Humanity, was declared on July 7, 2008 by the UNESCO and will conserve its unique life style with an artistic & cultural ambience. Many local customs and traditions from its colonial past have been preserved making it attractive to visitors as a favorite tourist destination and retirement haven. 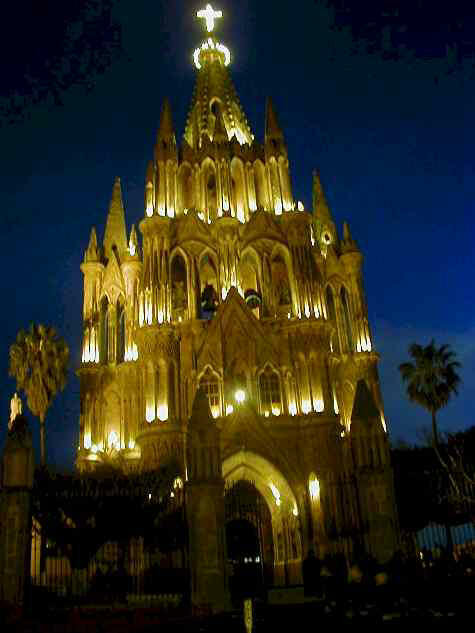 San Miguel Allende is a beautiful historical colonial city located in Central Mexico. In San Miguel de Allende you always find something to do with events all year round. Some of the main celebrations starting with New Year’s include King’s Day, La Candelaria, the religious rituals related to the Holy Week which are impressively solemn and majestic, the Day of the Cross, Los Locos (the crazy dancers), our city celebrations in September, Day of the Dead, and the Christmas Posadas. We also have different festivals: movies, classical music, jazz, rock, salsa and the International Cervantino Festival in the city of Guanajuato. There are several excellent educational centers very well known worldwide specializing in art, culture and languages. San Miguel is one of the few cities in Mexico which has free wireless internet service in the main square (called locally, the jardin), so if you have a notebook or PDA with wireless connection come to the jardin and browse all day long for free. San Miguel de Allende (formerly known as San Miguel el Grande) was founded in 1542 by Friar Juan de San Miguel. It played an important role in the protection of the Silver Road and as an agricultural and commercial supplier for the northern mining centers. Toward the end of the colonial period, several of San Miguel de Allende's native residents played a very important role in the War of Independence from Spain which started in 1810. These include General Ignacio de Allende y Unzaga who was the First Soldier of Mexico, General Juan Aldama and his brother, Attorney Ignacio Aldama, who was the first mayor of the first city council in the new country of Mexico. 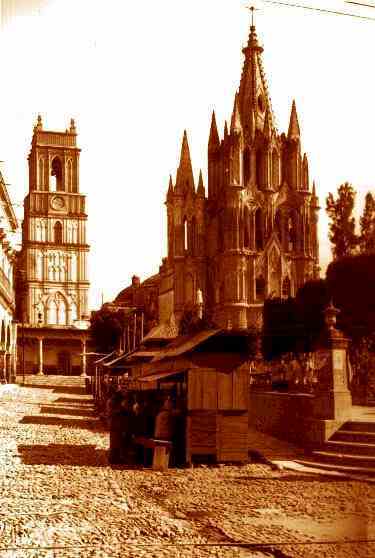 After the War of Independence, the city was renamed San Miguel de Allende to honor General Ignacio de Allende. Throughout its history, San Miguel Allende has gone through different stages of development from an economy based on livestock raising, agriculture and a booming textile industry to an artistic and cultural enclave attracting national and international tourists which received its main impulse during the 1960s and 1970s. San Miguel de Allende has a wonderful spring-like climate year round with hotels, bed and breakfast, in and out of the downtown area depending on the tourists' preferences with a variety of rates, if you are planning to stay for a longer period in San Miguel you can rent a house for a short, medium or large term with the realtors in San Miguel. Restaurants with international and national cuisine, night clubs for all ages, and three major international airports close by: México City International Airport, 4 hours by car or bus, Queretaro International Airport, an hour away, and El Bajío in León, an hour and half, making San Miguel Allende even more attractive for national and international tourists to visit San Miguel Allende even for just a weekend. In terms of business, San Miguel Allende is very close to major industrial parks within easy commuting distance either in the corridor Silao-Leon or Queretaro. San Miguel de Allende has also become an arts and crafts production center supplying national and international markets. Put all together, San Miguel de Allende is well known internationally and has been named one of the 10 most visited cities in the world by several tourist magazines in the United States and Europe. Our population in the county of San Miguel de Allende is 160,383. The city of San Miguel has a population of 69,811 according the 2010 census, but retains the atmosphere of small town. With all these attractions, the number of foreign residents in San Miguel de Allende has been constantly increasing in the last few years. The real estate market is booming with just a few houses left for sale in the downtown area. Real estate equity in San Miguel Allende continues to increase from year to year.